This year the cyclo-cross season in Colorado begins in September and continues through early December, 2014, with National Championships in Austin, Texas January 7-11th and World Championships in Tabor, Czech Republic from January 31 - February 1, 2015. The sport of cyclo-cross continues to grow, continues to refine rules and continues to deliver excellent racing opportunities to cyclists across the United States. Cyclo-cross is big in Colorado. Maybe because it gives us something to do during the cold winter months, but more likely because it is a wonderful community event where bike racers of all ages and genders come together on weekends and race bikes up, over and down dirt, mud and snow. Viewing or racing a cyclo-cross race can be great fun. The unpredictable weather and changing race locations mixes things up every week, rarely making the race the same. I admire anyone who shows up to race in twenty-five degree snowy weather. Plus I rarely hear racers screaming and yelling at each other (as I do at criterium or road races), instead I hear fun banter and lots of encouragement. Good luck to every racer this year. Thank you to all the family members who come support the racers. Thanks especially to each and every race organizer and race sponsor who offer the racers a place to play hard and compete. *Race cancelled 10/01/14 due to weather. 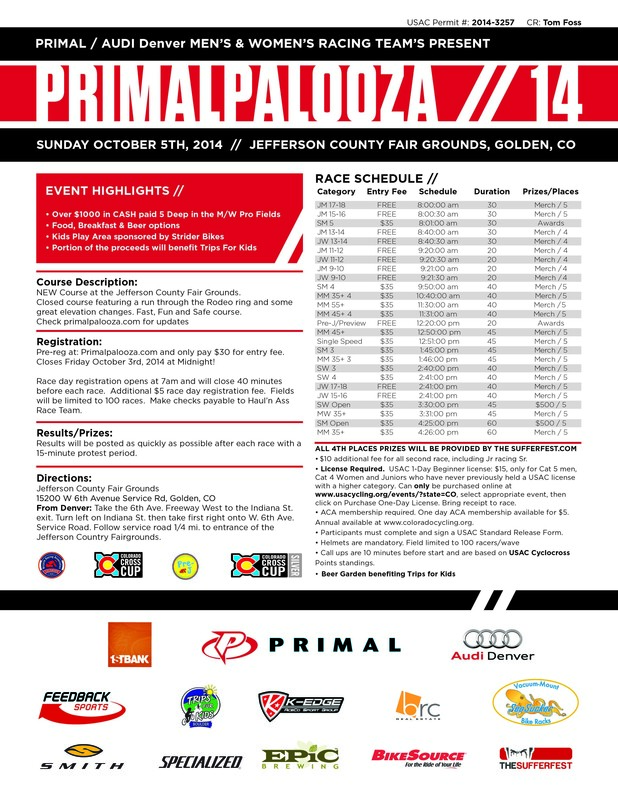 10/18/14, Saturday - Cowboy Cross, Denver Race Flyer NEW! *More race flyers will be added as made available. Full race calendar at the BRAC website for Colorado, or cyclo-cross race calendar at USA Cycling. 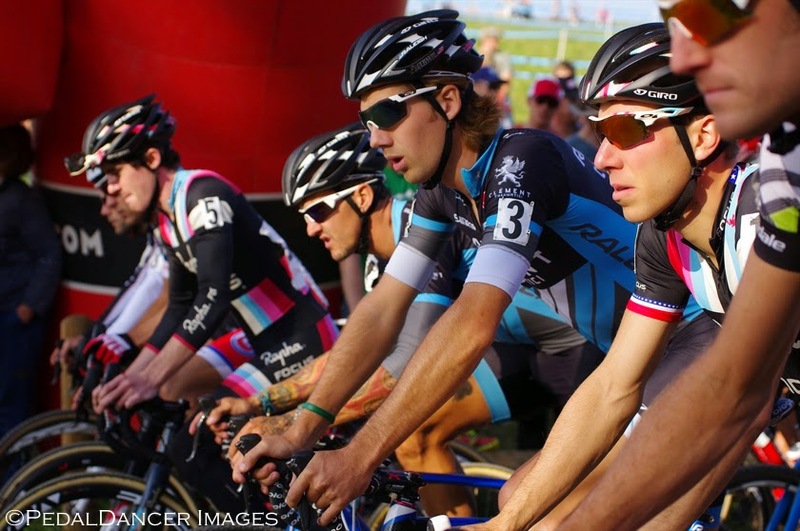 Cross Vegas - "Biggest cyclocross race in America"
January 7-11, 2015 2015 USA Cycling Cyclocross National Championships; Facebook and Twitter. 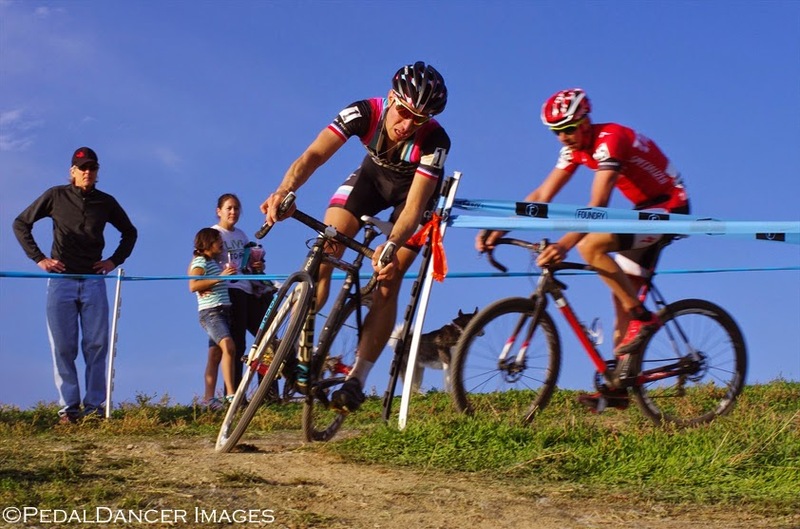 Asheville, N.C. will host the 2016 Cyclo-cross National Championships. A $40,000 prize purse to be split between the top riders in each of the men’s and women’s standings in the eight UCI 1 races in America. This is the same prize purse as 2014, although two more C1 races have been added to now total eight races. (see each individual race link above). If you want to see the best pro cyclo-cross racers - they will be at these races! Races that seek UCI inscription and inclusion on the USA Cycling Pro Cyclo-cross Calendar (Pro CX) must first be part of the CXNC for at least one year. 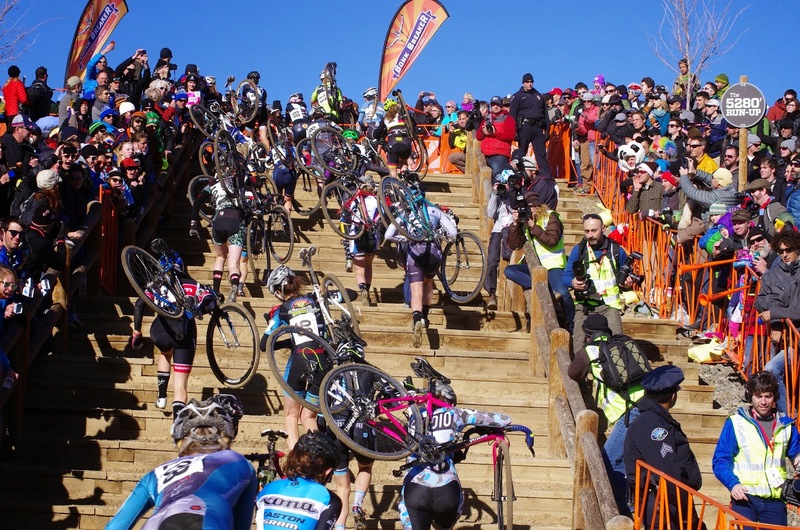 Local Coloradan Mary Topping interviews and writes about the races and racers of Colorado cyclo-cross. Learn more about the athletes and race results by reading her stories collected at: Posts from the ‘Cyclocross’ Category. If you enjoy reading UCI cycling rules, have at it here: Part V: Cyclo-cross Races .